to really hone your new skills. This year’s theme is Know How, with a programme of debates, exhibitions, workshops, screenings and talks put on, as well as an entire weekend dedicated to the medium of print with The Manchester Print Festival at The People’s History Museum. On the 14th, the festival opens with the launch of Unfinished Business, an exhibition by graphic artist Ian ‘Swifty’ Swift, marking his return to the city for almost 30 years. And very excitingly, on the 15th at 70 Oxford Street you can enjoy an evening in the company of New Order’s Stephen Morris, writer, journalist and DJ Luke Bainbridge and festival and event organiser Jon Drape. 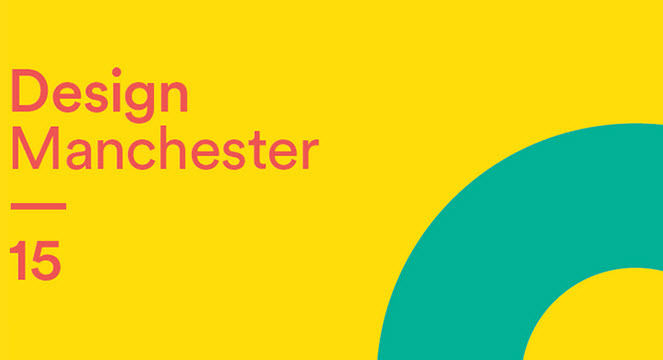 On the 16th at the Whitworth Gallery on Oxford Road, The Great Debate will take place to discuss how design contributes to the economy, society and the city, be this through culture, fashion, media or architecture. And on the 19th, the Royal Northern College of Music will be playing host to Design Now, showcasing some of the most contemporary creatives around the world, from illustrator Malika Favre to Hudson-Powell. The latter is a studio that can count the likes of Coca-Cola, Canteen, Wolff Olins and Nickelodeon among their clients.